Work, bills, kids, and traffic can all result in a major headache from time to time. If you’re in need of a breather — aren’t we all? — look no further than beautiful Hilton Head. 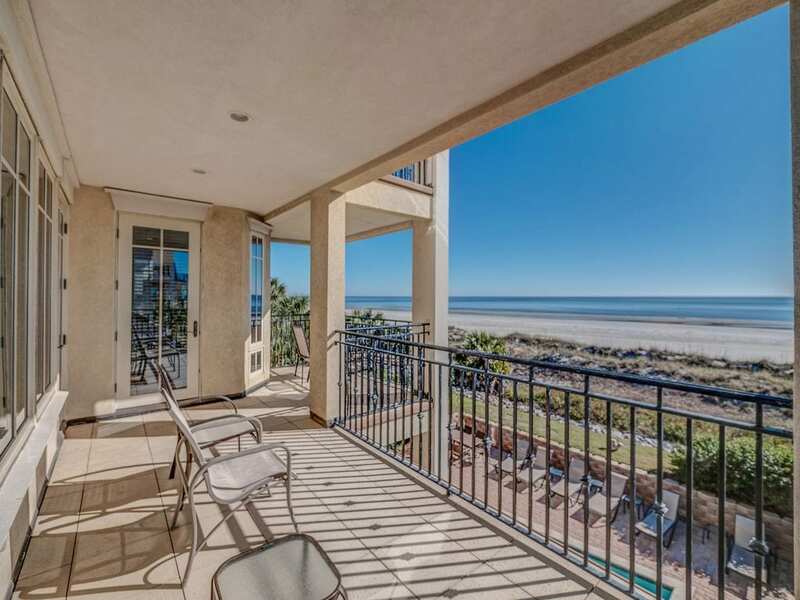 Located in South Carolina along the Atlantic seaboard, a bit of rest and relaxation at a Hilton Head VRBO could be just what the doctor ordered. Hilton Head Island is part of South Carolina’s picturesque Lowcountry region, nestled along the Atlantic on the state’s southeastern coast. As the crow flies, Hilton Head is just 20 miles from Savannah, Georgia and 60 miles from Charleston, South Carolina. There are many things to see and do on Hilton Head Island, including some of the top beaches in the United States, lots of charming boutiques and championship golf courses, not to mention the variety of museums, galleries, theater and more! One thing’s for sure: you will never be bored on Hilton Head Island. If you’re ready to visit what Condé Nast Traveler voted the “Best Island in the United States,” don’t hesitate to book your Hilton Head accommodation soon. 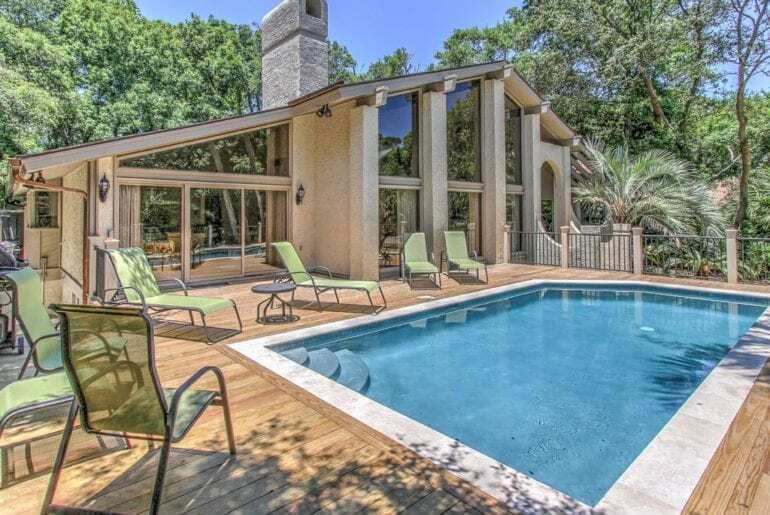 The very best Hilton Head VRBO rentals will be snapped up quick! Check out our guide below to find the best places to stay on Hilton Head Island. 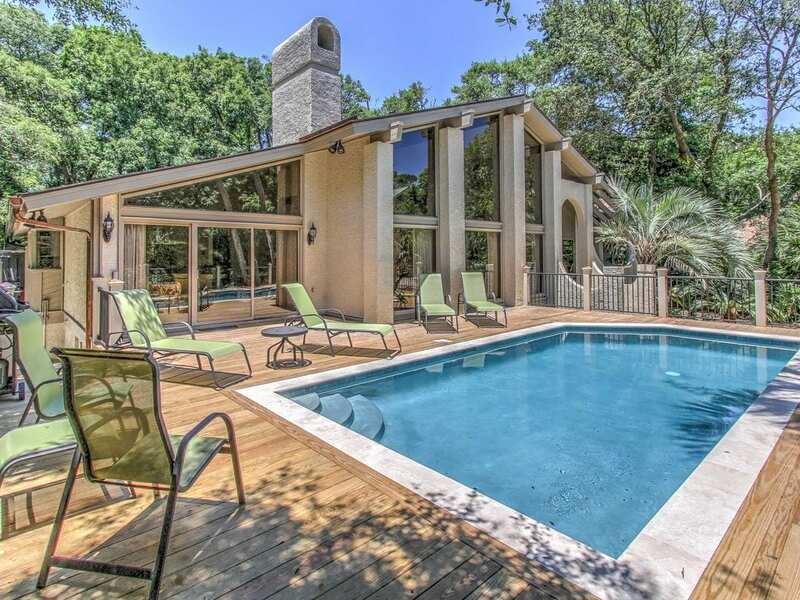 The first Hilton Head VRBO on our list is this spectacular North Forest Beach luxury vacation rental, located just one block from the beach. With seven bedrooms and 7.5 bathrooms, this property can easily accommodate up to 19 guests, perfect for multiple families traveling together or a large group of friends. North Forest Beach is one of the best places to stay in Hilton Head, boasting pristine white sandy beaches and easy access to lots of shops and restaurants nearby. This luxurious home features a large, open floor plan with lots of space to relax and hang out with the whole group. The gourmet kitchen is fitted with top-of-the-line appliances, in case you don’t feel like venturing out to one of the nearby restaurants. Enjoy spending time together in the fantastic backyard with shaded lounge space, large swimming pool, hot tub, and an outdoor grill perfect for summer BBQs. Some of the bedrooms are fitted with twin/single beds, ideal for multiple families traveling with kids or teens! This fantastic vacation rental can be booked for around $600 a night. 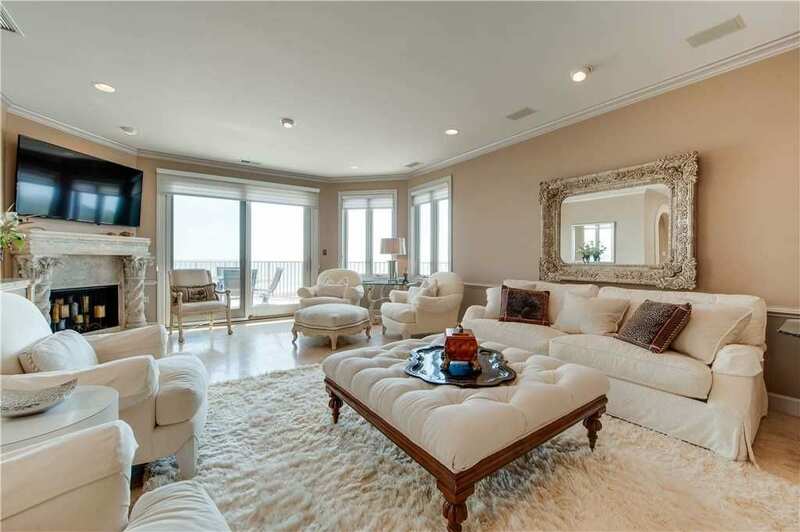 One of the chicest oceanfront Hilton Head vacation rentals we’ve seen, this glamorous luxury condo VRBO in Sea Pines is sure to impress. Perfect for an intimate couples getaway or a small family, this oceanfront condo can accommodate up to 6 with three bedrooms and three bathrooms. 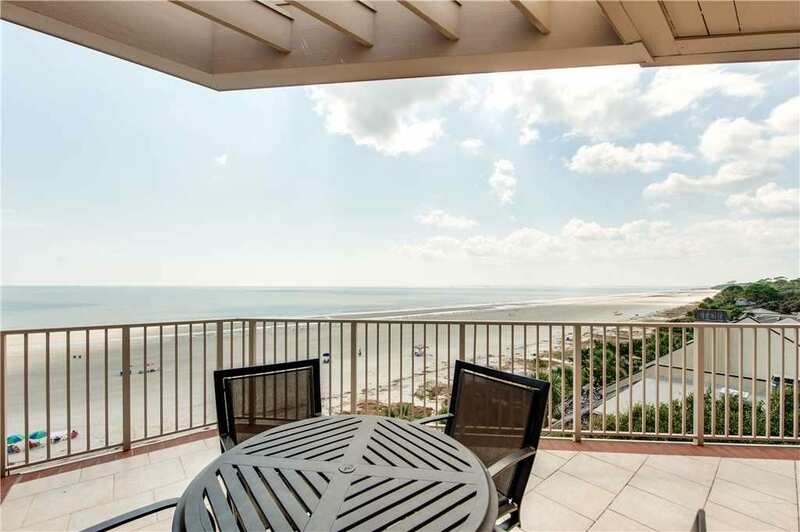 Enjoy spectacular sea views from nearly every room in this corner unit as well as the Turtle Lane complex’s resort-style amenities like two large swimming pools. Inside, this luxurious condo has been decorated with serious style, featuring high-end appliances and furnishings that complement the corner unit’s stunning views. 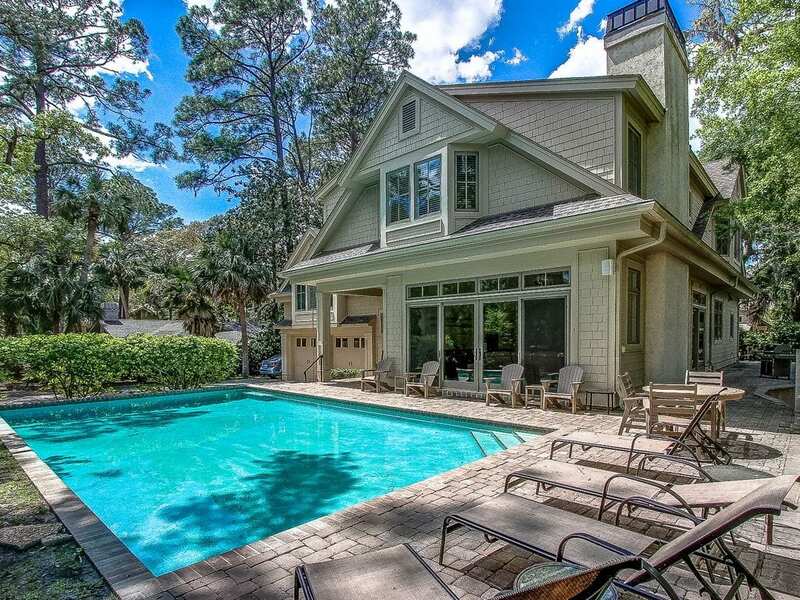 Available for around $600 a night, Sea Pines is one of the most desirable resort locations on Hilton Head Island. Top-notch golf courses, beautiful beaches, and lots of shops are all close by, while guests of the gated community enjoy added security and privacy. 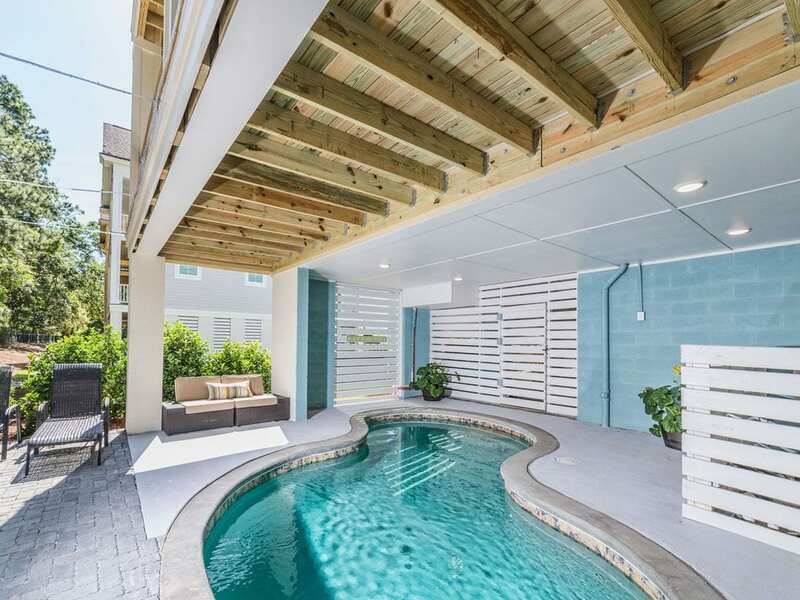 Located on a quiet residential road just down the street from the sands, this luxury North Forest Beach VRBO rental comes equipped with a dreamy swimming pool and spa. 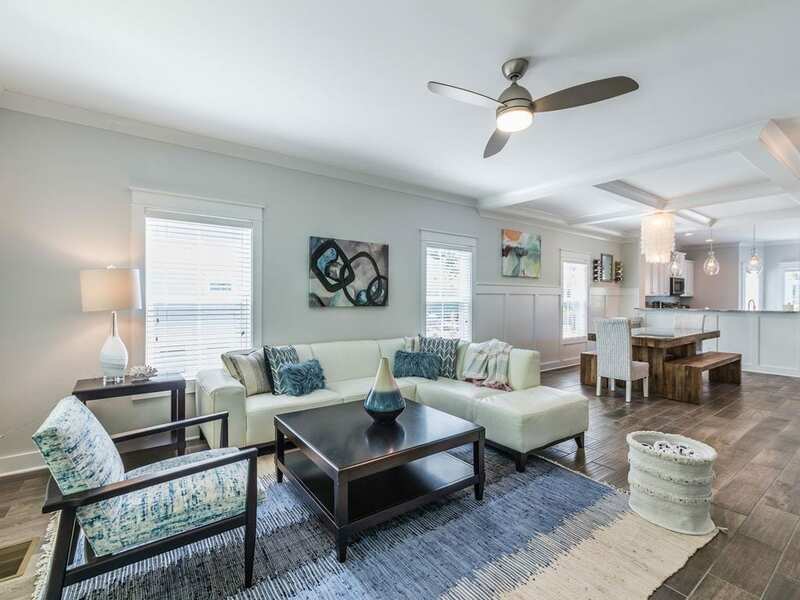 This peaceful, private location is surrounded by lush landscaping for added privacy, just a block away from the beach in one direction and the convenient Coligny Plaza Shopping Center in the other! This 4,200 sq.ft. home can accommodate 14-16 guests with seven bedrooms and 5.5 bathrooms, for about $660 a night. Families or large groups of friends will enjoy all that this luxury abode has to offer. Inside, the open and inviting living space is equipped with plenty of comfy seating, a flatscreen TV, wet bar, and fireplace, while the updated gourmet kitchen features high-end stainless steel appliances. French doors open wide onto the beautiful deck, with dining tables, sun loungers, a large swimming pool, and even a jacuzzi tub. 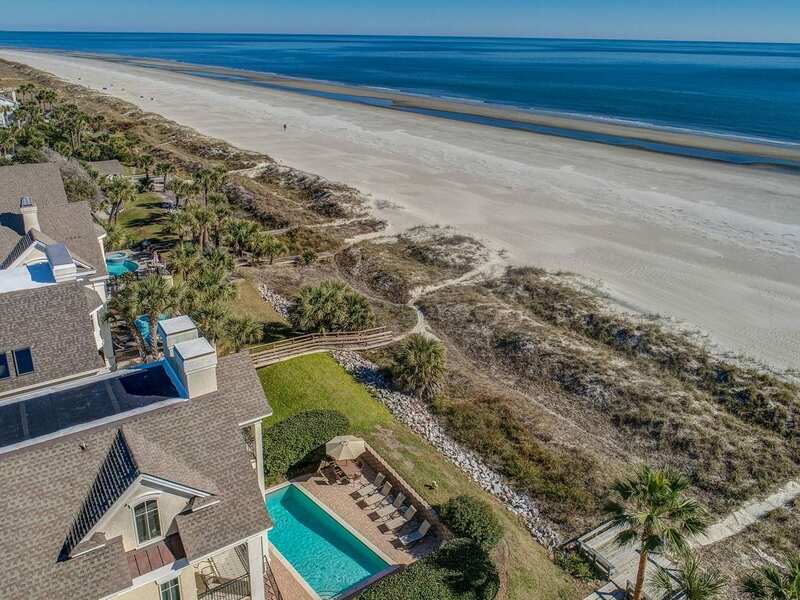 With a dedicated concierge on hand to book your restaurant reservations and coordinate a range of activities, this might be the most luxurious oceanfront Hilton Head VRBO rental available! This incredible oceanfront luxury estate on North Forest Beach is available for a cool $2,000 a night, but we assure you it’s worth every penny. This 6,800 sq.ft. absolute beachfront home can accommodate up to 22 guests with seven bedrooms (plus sleeper) and eight full bathrooms, so why not split the cost with your whole crew? 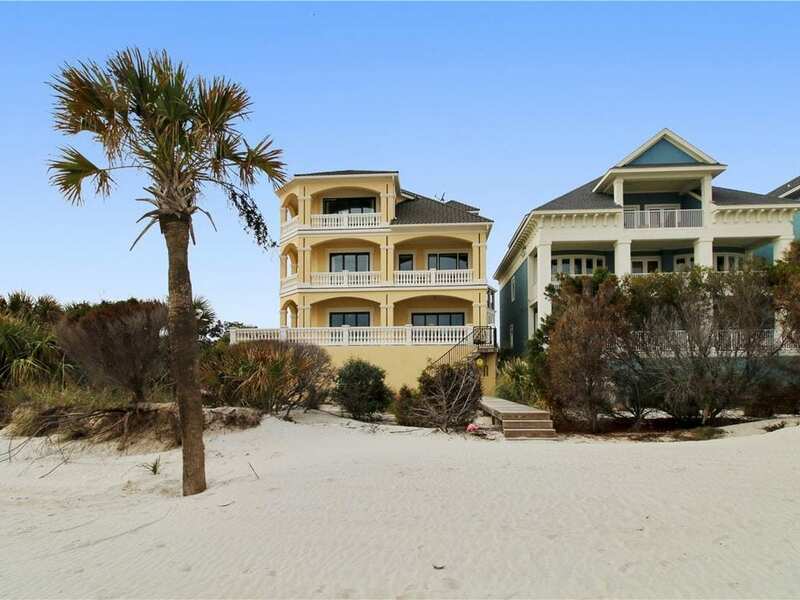 From the moment you arrive at this incredible vacation home on North Forest Beach, you’ll feel a sense of calm and luxury. No detail has been overlooked here, with beautiful furnishings and elegant decor perfectly complementing the gorgeous, abundant sea views throughout. Find an updated kitchen with top-of-the-line stainless steel appliances, lots of dining space, and multiple balconies on which to kick back and relax with a coffee or glass of wine. The bedrooms are beautifully furnished as well, some with expansive master-style ensuites and luxurious soaking tubs! 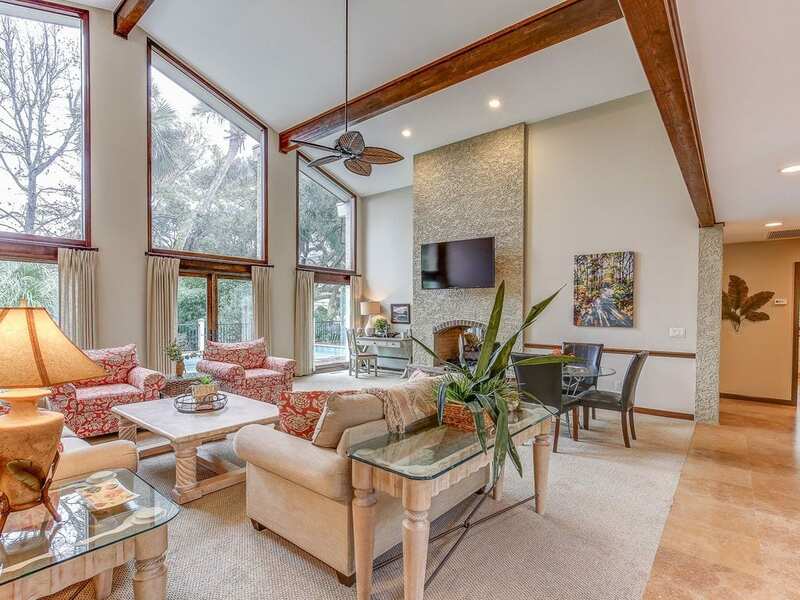 Nestled within the private, peaceful community of Sea Pines, this luxury Hilton Head VRBO is island living at its finest. Discover your own oasis retreat on a leafy, residential street just steps from the beach. With seven big bedrooms and 6.5 bathrooms, this incredible vacation home can easily accommodate up to 22 guests in comfort and style from around $895 a night. Enjoy wide-open living spaces and a truly gourmet chefs kitchen with luxe, stainless steel appliances and a huge kitchen island. The bedrooms are beautifully appointed with multiple spacious master suites and a few rooms designed with kids or teens in mind, with bunk beds or multiple double beds. In the backyard, a huge paved deck includes multiple sun loungers, shaded spots to dine al fresco, a BBQ grill, and a large swimming pool with integrated spa. This impeccably designed home is located in Folly Field, just a few minutes’ drive to the beach! Available for around $700 a night, this designer luxury Hilton Head VRBO with pool is brand new and beautifully furnished. Up to 18 guests can be accommodated here, with five bedrooms, four bathrooms, and 3,000 sq.ft. of living space. It’s very rare to find new construction on Hilton Head Island, not to mention in a location close to shops at the new Shelter Cove Town Center and just a short drive from Folly Field Beach. This brand new home has it all: a spacious, open-concept floor plan, a gorgeous gourmet kitchen, lots of space to dine or relax as a group, and an absolutely stunning interior. Enjoy your own private, heated swimming pool, partially shaded, along with an outdoor grill and al fresco dining space. Dramatic vaulted ceilings and exposed wood beams give this luxurious Cat Boat Hilton Head vacation home an open, airy vibe. 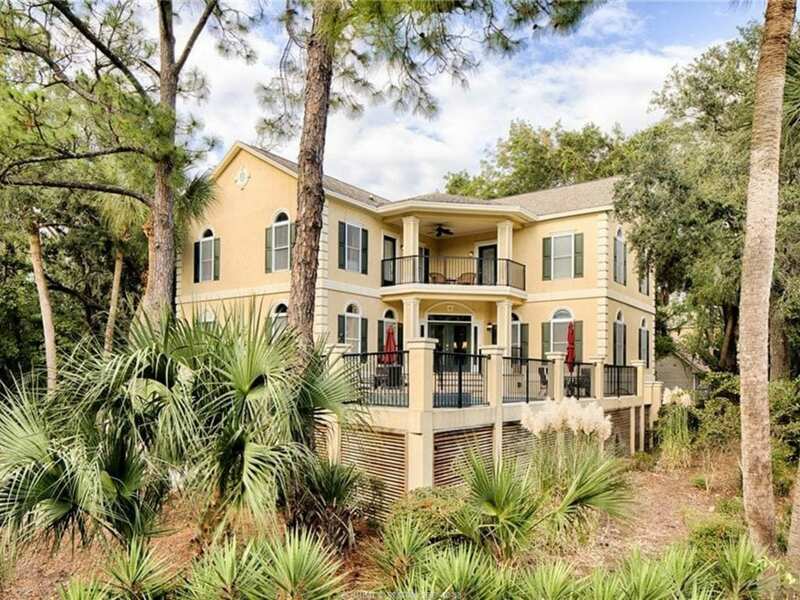 Located just steps from one of Hilton Head’s best beaches, this incredible home is available for around $670 a night and sleeps up to 12 with four bedrooms and three bathrooms. Dripping with charm and character, the home’s open floor plan is flooded with natural light and surrounded by lush landscaping for a peaceful, retreat-like feeling. There are not one but two private swimming pools for guests to enjoy at this stunning property; the largest found in the front and a smaller heated pool with spa on the rear deck. There’s ample space on both decks to lounge and sunbathe, or escape to a bit of shade with a good book. Inside, the home features a huge open-concept living space, gourmet kitchen, multiple lounge areas, a dining room, and four luxurious bedrooms, some with balconies and/or private sitting areas. 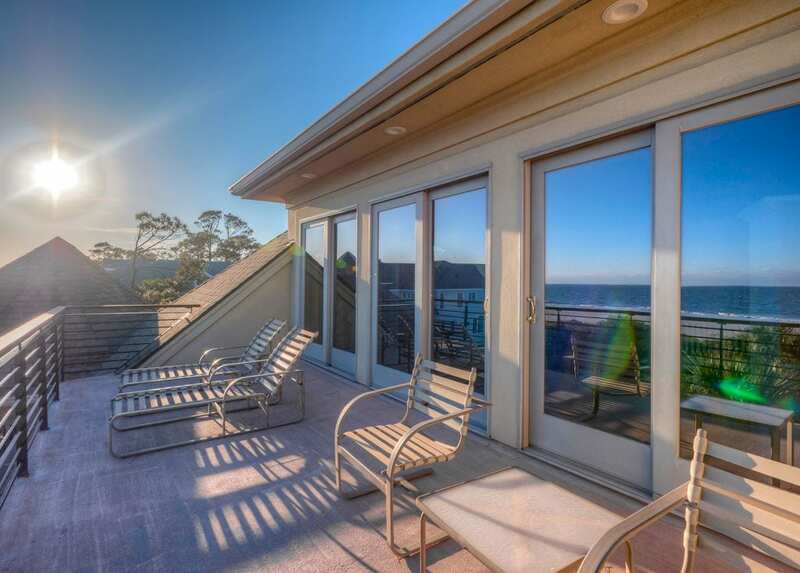 The glamorous, luxury beachfront VRBO in Hilton Head may just be the most exquisite vacation rental in the area. Enjoy uninterrupted views over the Atlantic Ocean and private beach access just outside your back door! Custom built and beautifully designed with a Mediterranean flair, this incredible home features top-of-the-line furnishings and luxurious decor throughout. 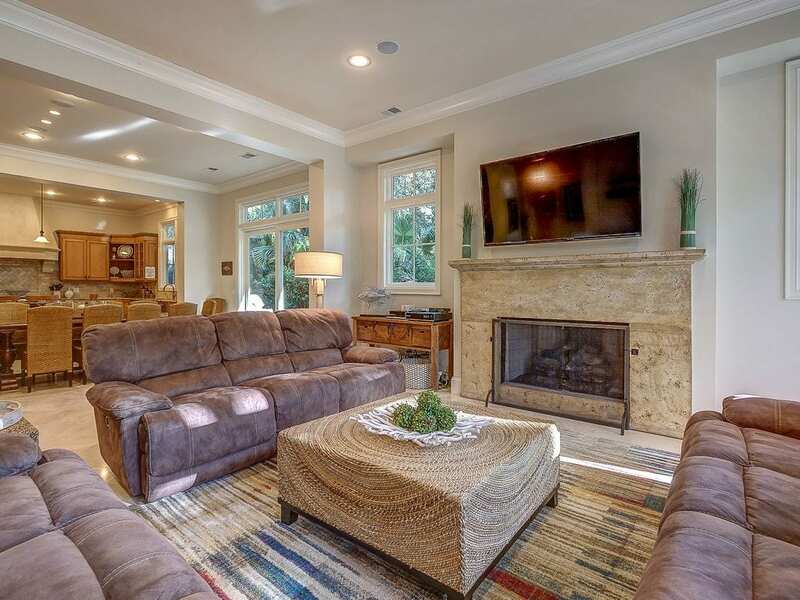 This luxury Hilton Head vacation rental can accommodate up to 20 with ease, perfect for the luxe family getaway of your dreams. With over 5,500 sq.ft. of living space, this six-bedroom, nine-bathroom home features an open-concept floor plan with a huge living space, dining area, a true gourmet chef’s kitchen, and so much more. There are multiple master suite-style king bedrooms, a fantastic media room with games and foosball table, plenty of ocean-view balconies, and a truly spectacular, resort-style private swimming pool. All of this with the beach less than 50 feet away? Yes, please! If you’re ready to shell out $1,400 a night, one of the best Hilton Head VRBO rentals can be all yours!